I've done the "Korea Must-Buy" and "Paris Must-Buy", and now let's move on to Japan. What triggered me to write this post is because my dear friend, Nicole, asked if I want anything from Japan. That leads to an extensive research on what beauty products I can buy in Japan. I thought it would be great to write a blog post about it. Because there are so many beauty products to shop for in Japan, I have extended my usual Top 10 list to Top 20. Beauty stores in Japan (especially in Tokyo) is a massive supermarket. The beauty market and consumption for is huge! In my opinion, Japanese products are way better than the Korean because their manufacturers have higher standards in quality and reliability compared to other countries in Asia. A lot of manufacturing concepts are adopted from Japanese manufacturers. 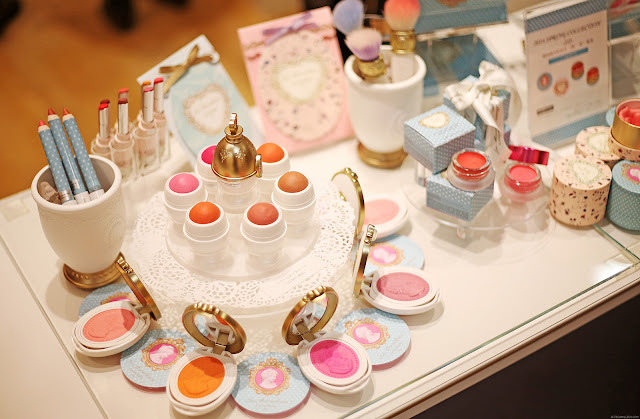 I will talk about what working in manufacturing teach me about beauty products in another day. As for now, let's focus on what we can get in Japan and not in Malaysia. 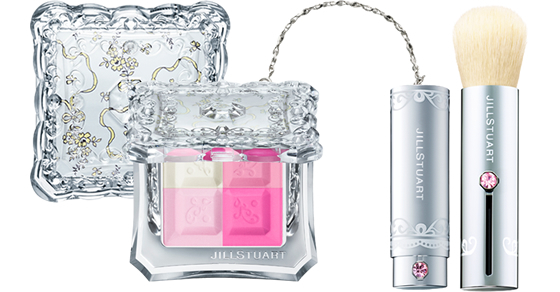 If you are a fan of princess-y packaging beauty products, check out Jill Stuart. What I really love to try from this brand is the blush that connected with a brush on-the-go and the perfume. The perfume bottles are extremely luxurious (I'm not sure how to define luxury in a higher level) and will make every dressing table the prettiest. Most of the products from Jill Stuart are recommended except for the eyeshadow, especially if you have a dark skin. 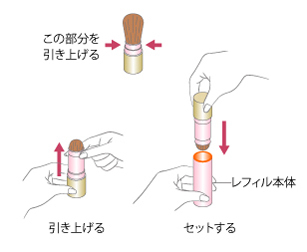 The colour payoff is not pigmented because it is made to cater to the Japanese fair skin. The price is quite steep because it is one of the high-end brand. The products are from the same manufacturer as Anna Sui, Laduree and Paul & Joe, rest assured you will get the same good quality products. 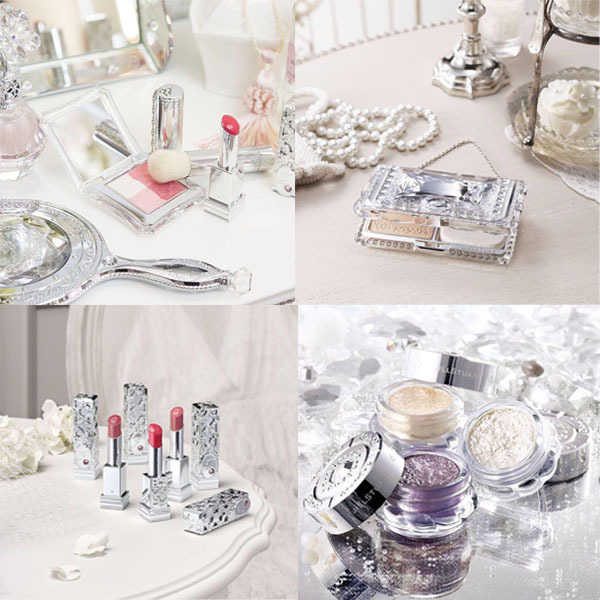 Buy Jill Stuart's products online <<here>>. My beauty blogger friends (Lady Alie & Arisa) were the ones who introduced me the Sailor Moon Makeups. The actual brand name is Miracle Romance and you certainly won't miss it in any of the drugstore in Japan. 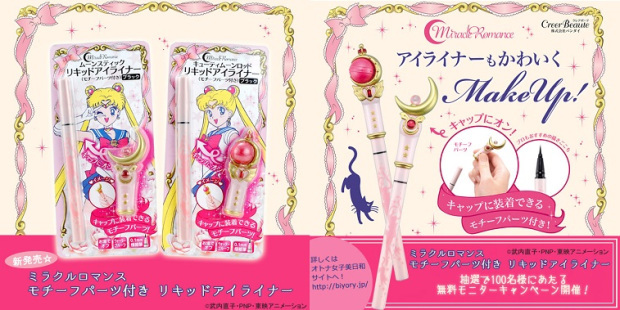 The brand is not just a marketing gimmick where they hitch on Sailor Moon's popularity. Alie recommended me to try the eyeliner, but the only problem is, it's only available in Japan. 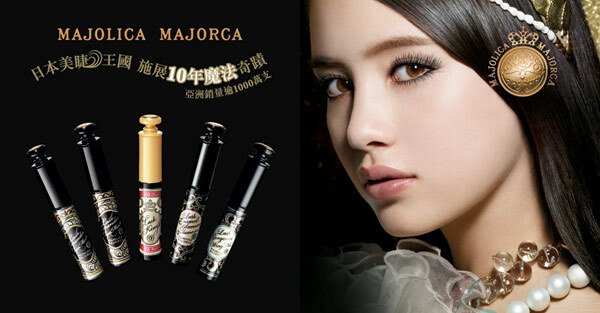 We do have Majorlica Majorca in Malaysia, but the product options are limited. Everytime I go to Watson to check out the brand, the testers always run out or too pathetic for me to try. The image we have of this brand is very poor (some people never even heard of it). Majorlica Majorca is actually a brand under Shiseido. It is cater for younger users, especially teenagers. The brand reflects a mysterious, adventurous, and fairy tale aura to capture the teenager's interest. The recommended products to try are the mascara and cream blush. I really love the Lash Expander Edge Meister Mascara which has a comb wand. 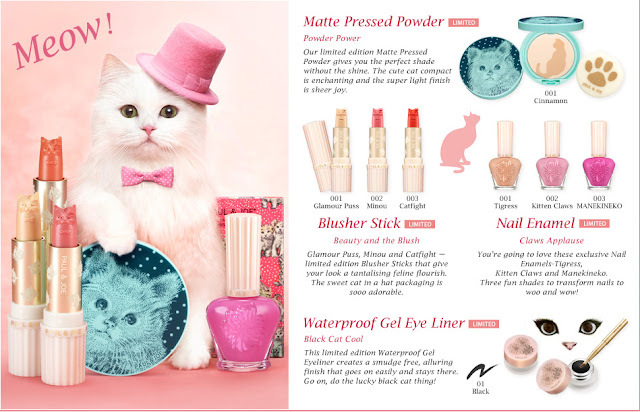 Buy Majolica Majorca products online from YesStyle (International shipping available). 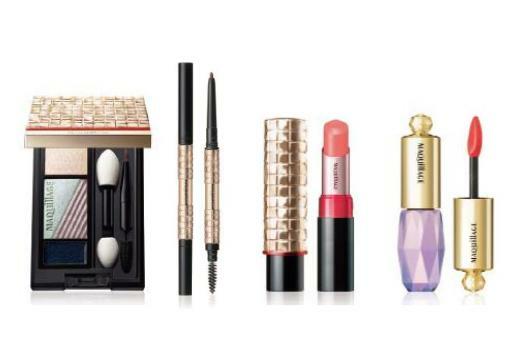 MAQuillAGE is also another brand under the umbrella of Shiseido. The price range is in between the high-end Shiseido and the drugstore Majorlica Majorca. 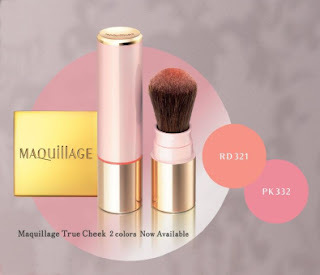 While the Majolica Majorca targets the young generations, the MAQuillAGE brand targets sophisticated working women. 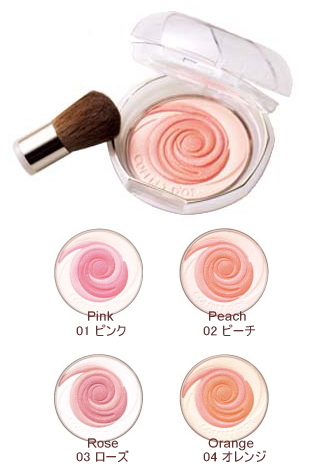 One of their interesting product is the True Cheek blusher which is a self-powdered blush where you can apply your blush on-the-go. It is a great product to have when you're traveling. Other than that, the lipsticks are hydrating and they have an extensive colour options that suit Asian skintone. Are you overdosed with all the pretty packagings yet? If no, we have more to go through. 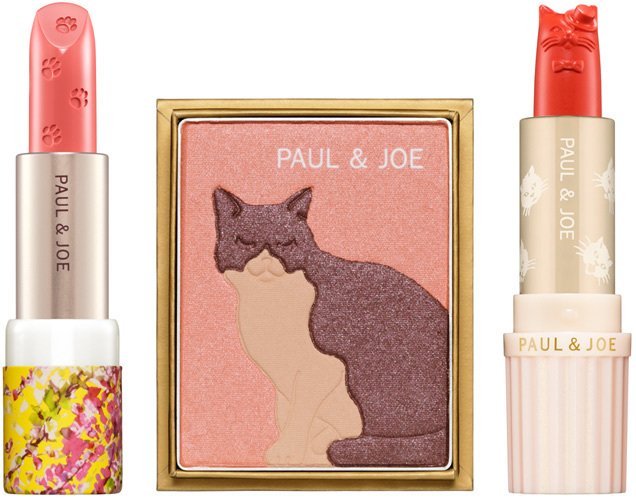 Paul & Joe is another beauty brand that has product presentation that is over the top. Not only it has beautiful packaging, the product itself is a work of art. 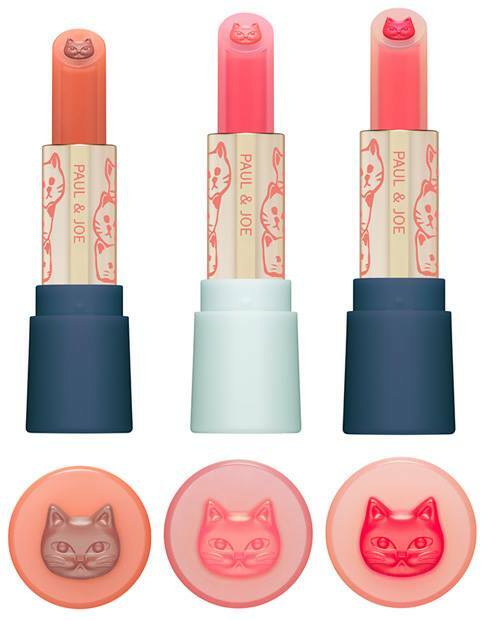 Cat lovers are going to love this brand because in every seasonal collection, Paul & Joe will feature cat lipsticks. 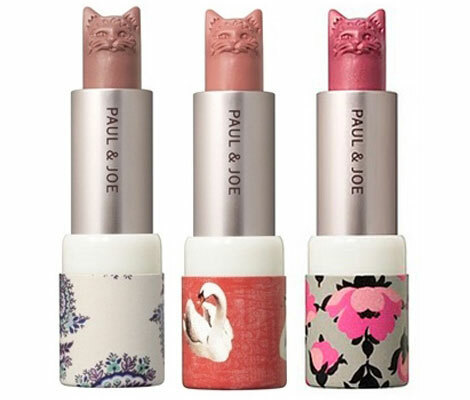 Check out the designs of their cat lipsticks below. I'm sure you will be wanting one of it. Besides that, the blush, foundation and eyeliner are really great products to try as well. Conffret D'or is a subsiduary brand of Kanebo. The colour palette of Conffret D'or is lighter and suitable for fair skin. On top of that, it has really pretty blush that has rose petals motives. For those who have narrow eyelids, this brand also has super sharp and fine eyeliner. I'm not sure if Esprique is a brand under Kose or if it is a product range under the brand. Let's assume it is a brand under the Kose umbrella. Just like it's mother brand, Esprique is famous for it's coverage product such as foundation, face powder, etc. It leaves a dewy effect and has long lasting effects, suit the hot and humid Asia weather. 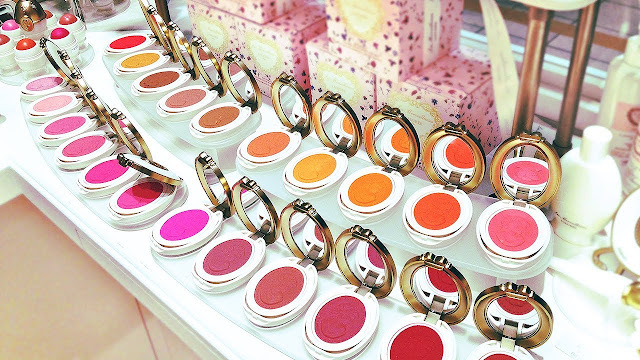 The other products (lipstick, blush, etc.) aren't attractive enough compared to other brands. So, do keep your luggage space for other stuff. Yes, Laduree again! 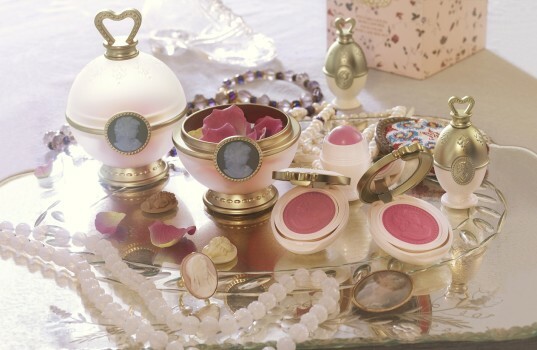 I know I have introduced this in the Top 10 Must-Buy French Beauty Products When in Paris, I am introducing it again because Laduree beauty products are way cheaper in Japan than in Paris. It can be RM50 cheaper per product due to the currency exchange and also the price is lower. And again I'm going to recommend the blush. 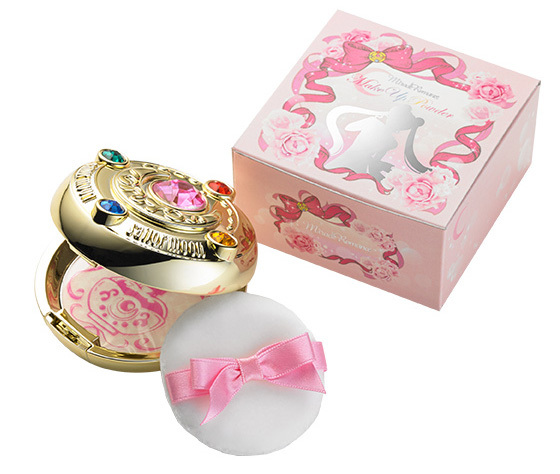 In fact you should get anything that you desire because it is hard to resist the Marie Antoinette-inspired themes packaging. The only problem is, do you have the courage to break the product for daily use? Although Malaysia has Canmake products (available in Sasa), the product range that we have is limited and the colours are limited as well. If you love vivid colours cosmetic with great pigmentation, Canmake is the one you should try (note that most Japanese brands products have light washed pigmentation). 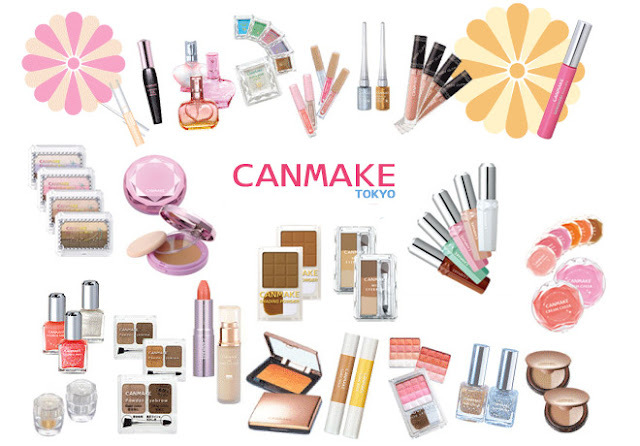 Canmake is one of the top selling makeup products in every drugstore and you should pick some to try. Go for the cream blush, lipstick and colour stick. This is another brand that is available here. Unfortunately, the price of Dolly Wink in Malaysia is very expensive. A pair of eyelash may cost you about RM50+. With the same price in Japan, you will get a pair of eyelash and an eyeliner. Over here, it is famous for its eyelash but in Japan, Dolly Wink has a full range of makeup products. Do try their eyeliner and mascara. Those are the best sellers other than the eyelashes. Now we have come to the skincare part. Actually I am more excited about the makeups than the skincare from Japan. Anyway, the Rosetta brand is one of those product that every household in Japan has it. They make amazing facial wash that suits all skin types, even the most sensitive skin. It is free from colors, mineral oil and fragrance. It is also one of those facial wash that you can use all year round without causing discomfort on your skin. This is a big deal in Japan because the country experience 4 seasons in a year. If you head to the Japanese drugstore, you can find 5 out of 10 girls will have this in their shopping cart. The mask is cheap and effective. You can find mask set that comes with 7 days supply or 30 days supply and you are suppose to use it daily. Do stock up a lot of these, especially the one that concentrate on hydration (the blue one). 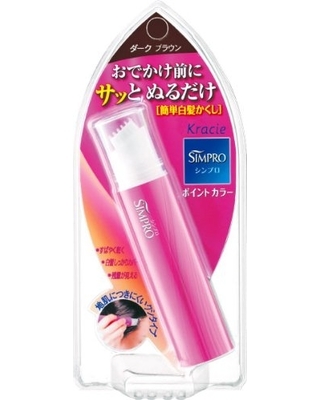 If you have gray hair and looking for quick solution to cover the gray strands, the Kracie Simpro hair mascara is the best thing ever invented. Unlike other hair mascaras that has typical mascara wand, this one has a brush applicator that won't mess up the process. Older girls like me would appreciate this, especially when you don't want to dye the entire head. It is very typical to recommend the Biore sunscreen, you probably thinking what's the point of recommending this since we have it in our drugstores as well. In Japan, Biore is a fast-moving consumer brand and the girls there take their sunscreen seriously. You can find close to 30 types of sunscreen from Biore and there will be one that suit you well. Choose from thick texture, watery texture, tinted and matte finishing. This is one interesting product. 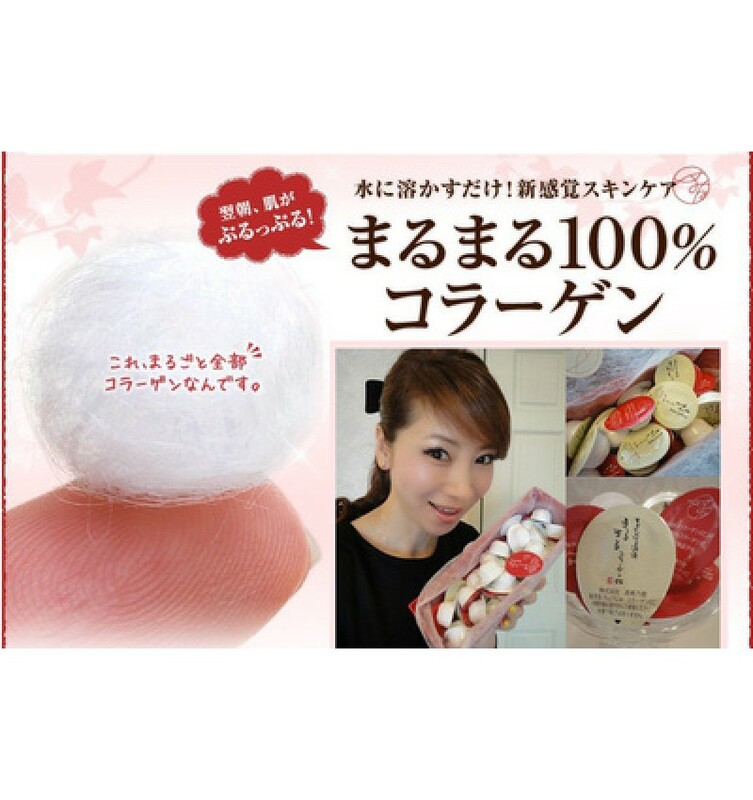 It is collagen concentrate that forms in a cotton ball shape. You have to wet it with your toner and immediately rub it onto your skin. Instead of consuming collagen, you are applying it directly into the skin. Apparently the famous 50 year old Japanese lady who looks like a 20 year old model is using it as her beauty staple. 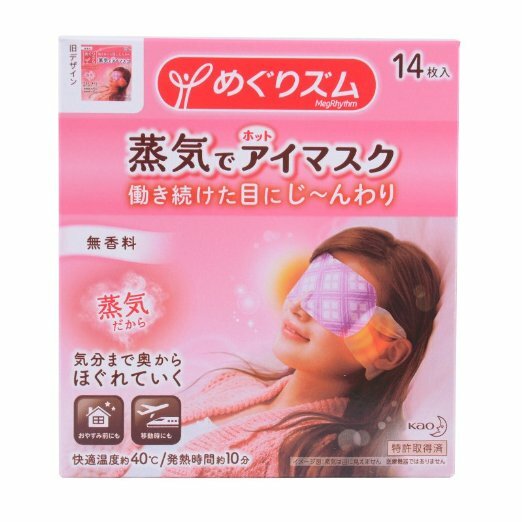 Don't be afraid with the name of this eye mask. It is warm and not as hot as how it sounds like. During long flight or traveling journey, this eye mask works effectively to reduce swelling and brightens the eyes whenever you feel the shittiest. When in contact with moisture, it will expand and creates a comfortable cushion for your eyes. It comes with chamomile, tea tree, lavender and other scents for you to choose. 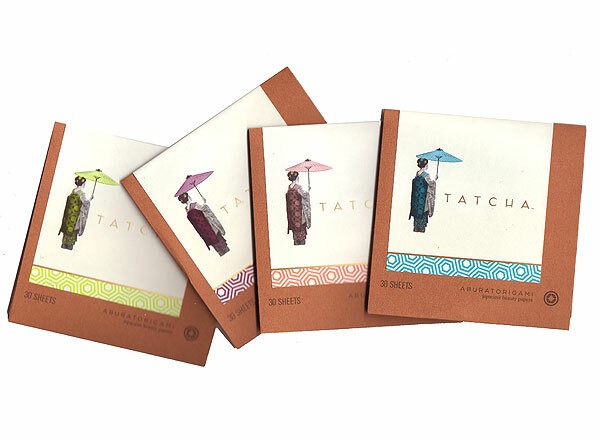 Tatcha is a brand inspired by Geisha beauty. The brand was created based on Geisha beauty philosphy which the creator found on her trip to Kyoto. Given a chance, I would try the Moisture Rich Silk Cream and Enzyme Powder. They do have Ritual Discovery Kit which features deluxe sized products for first time users. The products are super pricey. 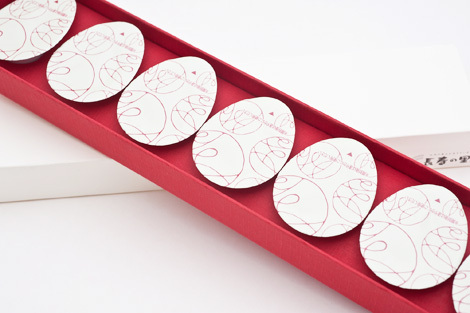 You could get some of the blotting papers which they call beauty paper for brand introduction. For contact lens users, you may know of the brand Rohto. It is one of the very few eyedrops which is contact lens friendly. In Japan, they have the Lychee version which is soothing. You have to get it mainly because it is special and not available in Malaysia. They also have eyewash. The Namerakahonpo skincare uses soy milk in their products. 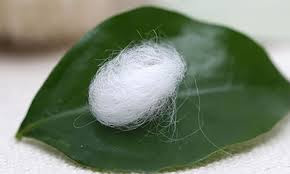 It is soft and gentle for the skin and suitable for sensitive skin. It is one of the best selling skincare in Japan. You should try the essence instead of the other products to save your luggage space. 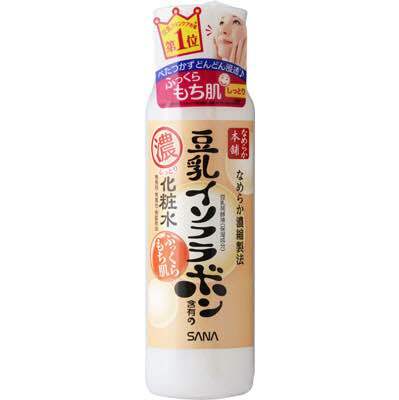 This is another product that every household in Japan has. It is a multipurpose oil that has been passed down from generations to generations and have been trusted for years. It can be applied onto hair, dry skin or even use it as normal facial oil. These oldies work like petroleum jelly. Here are my recommendations of beauty products that are luggage-weight worthy whenever you travel to Japan. If you have any other recommendations to share with me, please comment below. 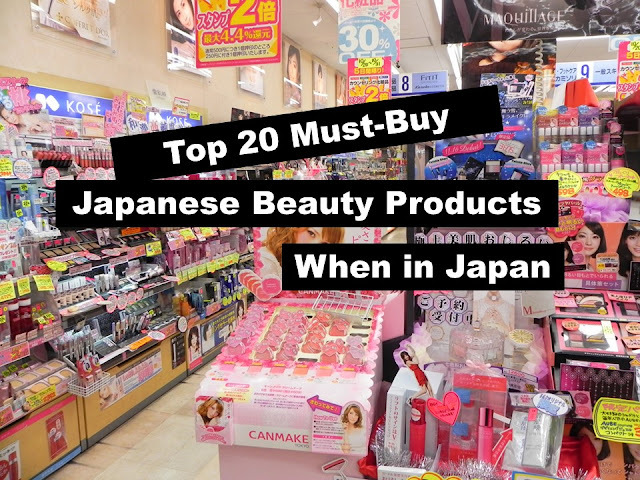 I would love to find out what other beauty products that are hot in Japan. P/S: I have started a label called "Beauty by countries" where you can find recommended products to buy whenever you are traveling. Where can i find Tatcha in Japan? Tatcha is actually an American company. As far as I know, Tatcha is not available in Japan. what the best brands do u recommend to be imported to middle eastern markets?